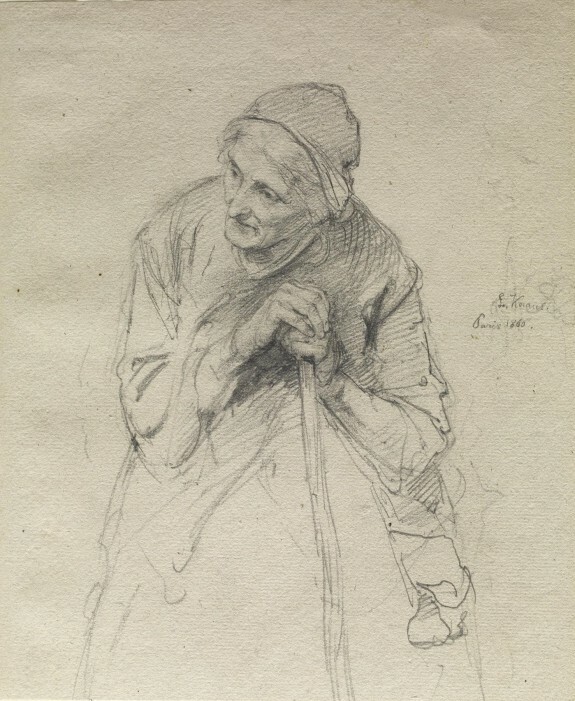 Description Elderly peasant women, sometimes known as "village witches," frequently appear in Knaus's paintings. This drawing dates from the artist's first sojourn in Paris (1852-1860). A Medley of German Drawings. The Walters Art Gallery, Baltimore. 1996.